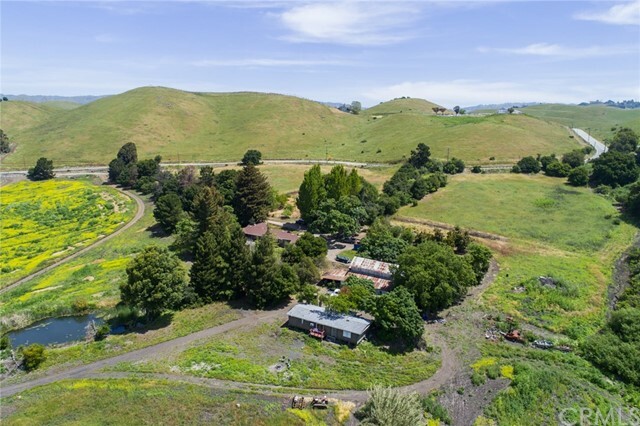 All Milpitas homes currently listed for sale in Milpitas as of 04/19/2019 are shown below. You can change the search criteria at any time by pressing the 'Change Search' button below. "Prestigious Hillside Location. Hardwood & Tile floor. High-quality upgraded Kitchen & Bathrooms. Lot of Recessed lights. Mini wet-bar in family room. Built-in surround sound stereo system. Professional landscaping front-yard with tile & brick driveway. Expensive, romantic & relaxed back-yard with swimming pool, spa, Koi fish pond, gazebo, patio & palm trees. Paid solar system. Central A/C. Finished Garage with water softener & convenient closets. Quiet Area & good Schools"
"Quiet & desirable community with view of the hills centrally located in the heart of Milpitas. Property features bright floor plan, gleaming hardwood floor and big family room with amazing entertainment media center. Updated kitchen with quartz countertops and stainless steel appliances. Original 4 bedrooms & 3 bathrooms. Additional 5th bedroom & 4th bathroom (permits unknown and buyer to verify). Modern bathroom, double pane windows and copper plumbing. Built in 1964, 2-car garage and large 5500 sq ft flat lot. No HOA. Top rated schools. Alexander Rose Elementary, Rancho Milpitas Middle and Milpitas High. Walking distance to parks, schools, supermarket, restaurants and gym. Easy access to Bart Station, Great Mall, freeways 680, 880 and 237 and minutes away from tech companies." "Premium Location! Largest Floor Plan In the Resort-Like Coyote Creeks Community. Updated Kitchen with Designer Cabinets, Slab Granite Counter Tops, Stainless Steel Appliances, Pedestal Lighting, Breakfast Bar, Formal Dining Area. Recess Lighting. Over-Sized Balcony. Dual Pane Windows & Sliding Door. 2 Bedrooms on Main Level with Double Sink Ensuite Full Bath. Walk-in Closets For All Bedrooms. Light Enchanted Master Suite on Top Level. His & Hers Vanity Sinks & Over-Sized Soaking Tub in Master Bath. Central Heating & Cooling w/ Dual Controls. Washer Dryer Included. Side by Side 2 Car Garage. Tankless Water Heater. Wood Floors in Living Area, High End Carpet in Bedrooms. Low HOA Full Amenities: Access to Coyote Creek Trail, Heated pool, Fitness Center, Club House, BBQ Area, Playground, Basketball, Tennis Court. Tech Shuttles Stop Nearby. Walk to Cisco/KLA Tencor/Western Digital. Close to Ranch 99 and Great Mall. Easy Access to Light Rail, highway, BART Station (coming soon)." "Welcome home to this updated three bedroom ranch style property on a 6500 sq. ft lot! Filled with plenty of natural light, this home features a beautiful new kitchen with white shaker style cabinets, stainless steel appliances, quartz style counter tops gas cook top, and as a bonus a cozy kitchen dining area for those daily family meals. Features include dual pane windows, all new hardwood style laminate flooring, updated interior doors, recessed lighting, New master bathroom Plenty of closet space. Great Room with dining area. Wood burning fireplace. Attached two car garage .Freshly painted interior and exterior. New landscaping. Centrally located near BART, highways/interstates, and shopping malls. Walking distance to restaurants, retails stores, Oh, and let's not forget the home is located in the very desirable Milpitas School District with schools currently rated 8's and 9's. So come down this weekend to our open house and get ready to be Wowed.about your new home!" "Your search is Over, come by today and see this gorgeous brand new EAST facing home with a 10 year warranty. All of the upgrades comes included in the price. Upgraded cabinets, Upgraded Ceaserstone countertops, Upgraded Stainless Steel appliance package, UPGRADED Walk in Shower with Glass entry, Corner home, Pre Wire for Electric Car Charger, Pre wire for Solar, MOVE in READY< No offer date, Transparent pricing. See this amazing home today, and buy it today.... listing agent is extremely easy to work with."